A, the Finale… | The Happy Wonderer ~ ellen b.
ABC Wednesday is starting their farewell tour. This will be the last trip through the alphabet with Mrs. Nesbitt and her team. On this farewell tour I will be looking back with a mix of old and new for each letter. Click on ABC Wednesday to see what others are sharing. Amish, animals the Amish use and Architecture are my choices for A. All these photos are from our trip to Amish Country in Indiana and Ohio the end of September (2016) with the Mennonite Girls Can Cook. 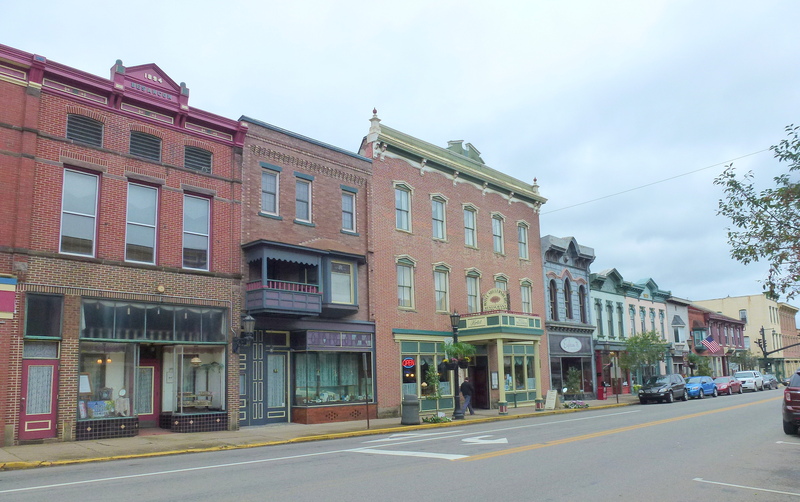 The architecture photos are from the village of Millersburg in Holmes County, Ohio. I haven’t shared these photos on my blog before. 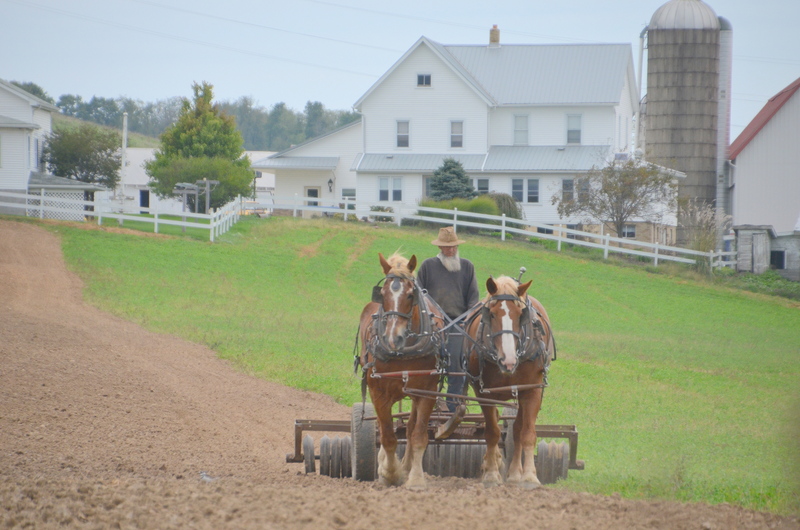 Millersburg is in the heart of the largest Amish settlement. 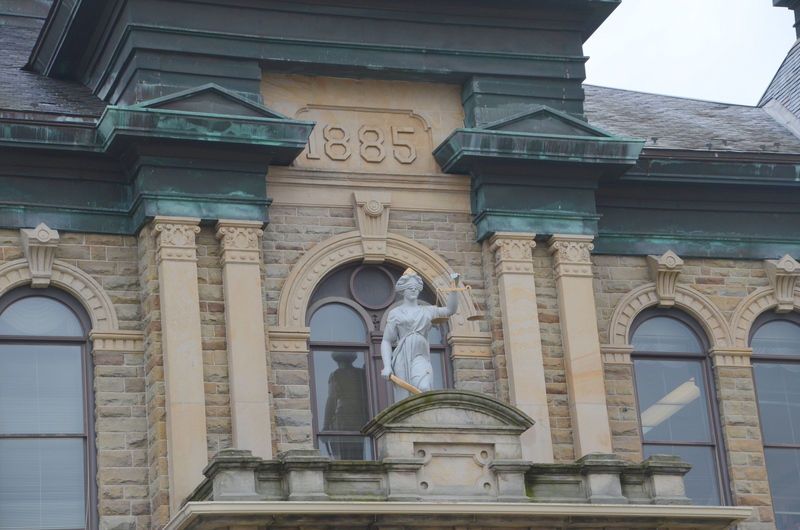 This is the Courthouse at the county seat. 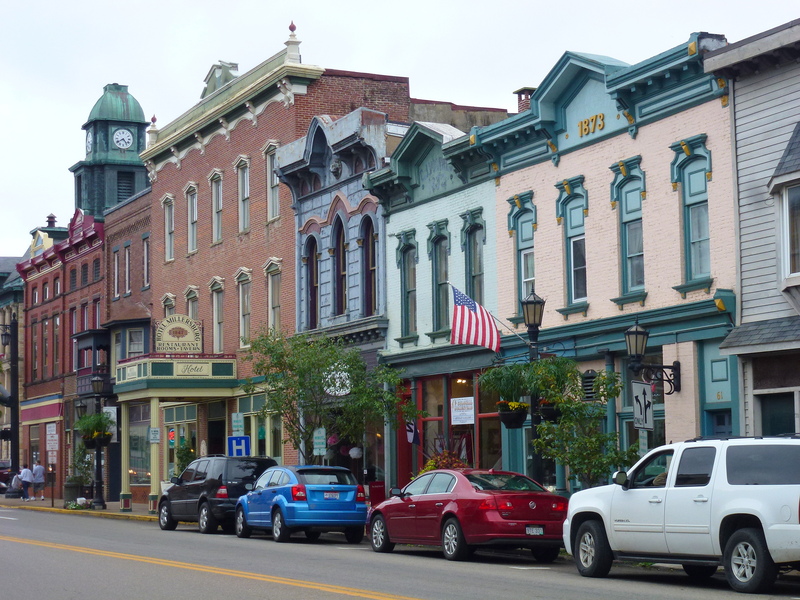 We found the downtown to be charming with many interesting shops and original architecture. 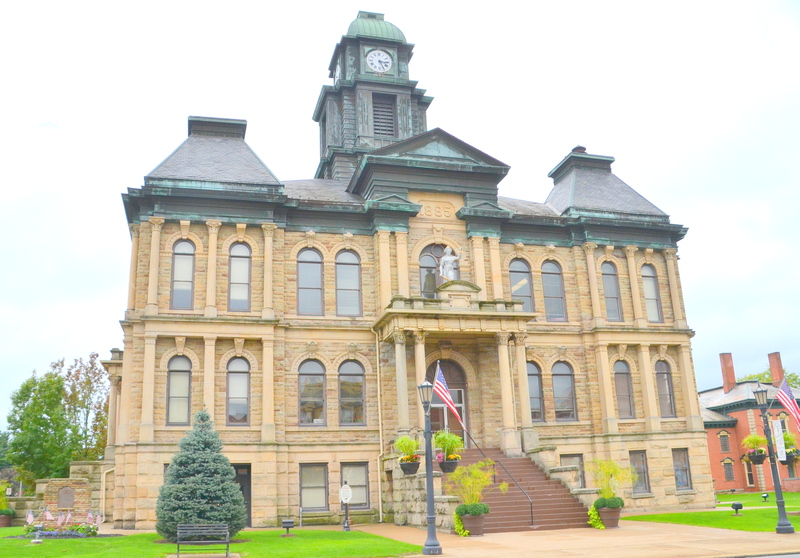 Millersburg was incorporated February 17, 1835. Hotel Millersburg built in 1847 is on the left. 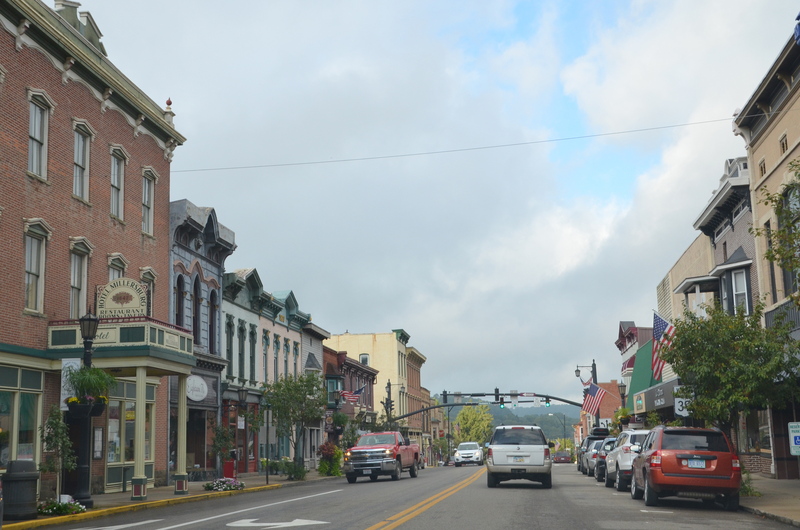 The Hotel, which has been placed on the US Department of Interior’s National Register of Historic Places, is located in the center of the Millersburg National Historic district. Now to the present…how’s January 2017 shaping up? Things are busy here and I’ll have a lot to share later. We are still cold and icy but nothing to compare with other parts of the country. 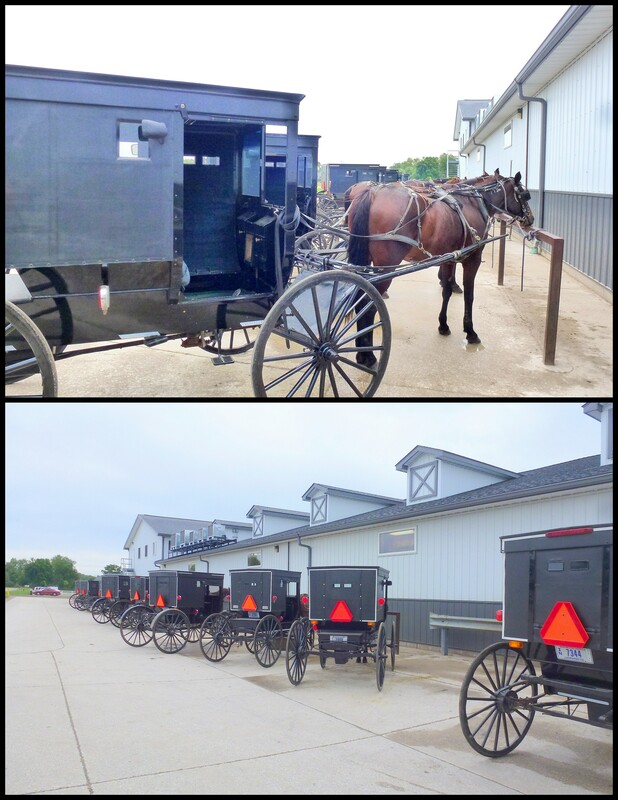 Posted on January 10, 2017 by Ellen •	This entry was posted in ABC Wednesday, Ohio, Travel and tagged Amish Buggies, Amish Country, Amish Farm, Holmes County Ohio, Hotel Millersburg, Indiana Amish Country, Millersburg National Historic District, Millersburg Ohio. Bookmark the permalink. Great “A”chitecture and I always enjoy “A”mish scenes…thanks “A” lot! Beautiful photos Ellen! 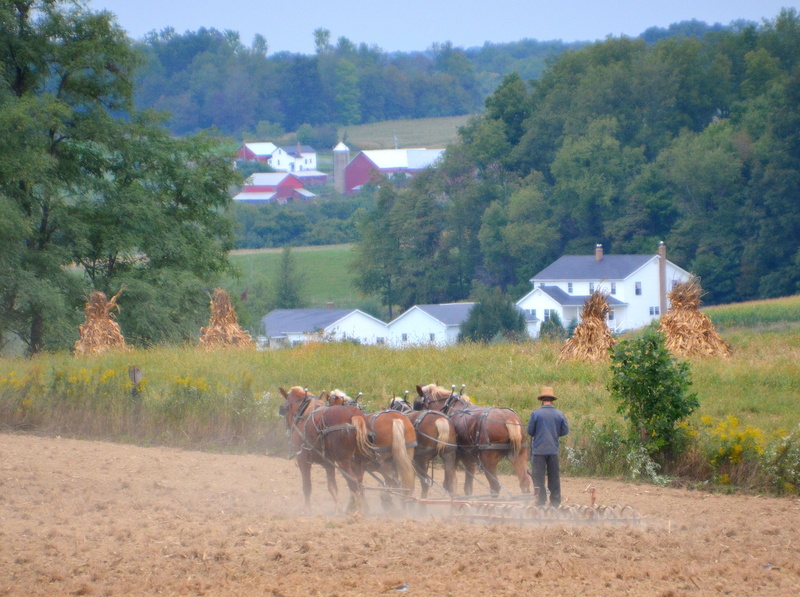 I love the one with the 4 horse team cultivating with rolling landscapes and corn stooks in the background – framable I would say! 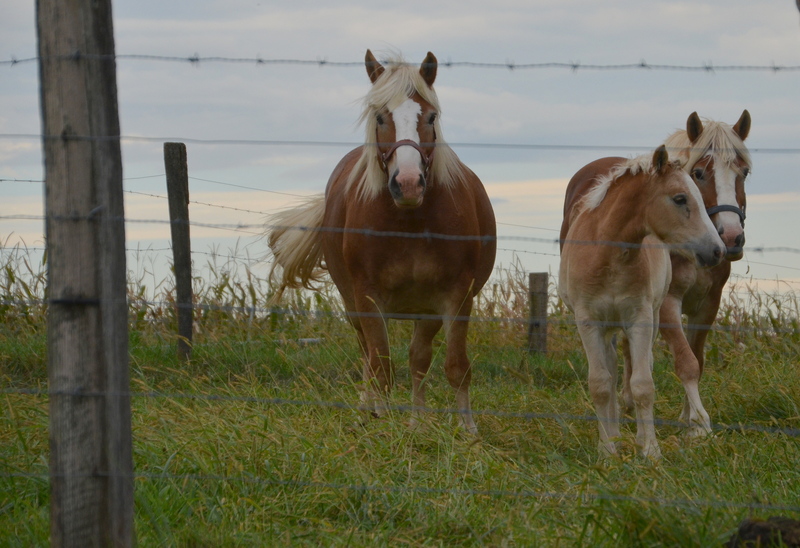 We are having horrid weather over here – stayed put and did some sewing today. Just thankful that the hydro has stayed on! I really love the photos. Beautiful! I love all the buildings downtown. So much nicer shopping in all the shops than in a mall!! 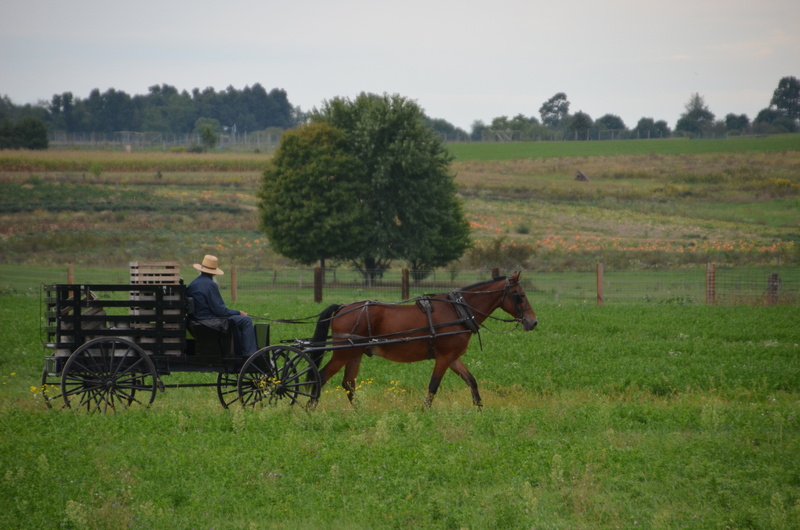 Always like Amish pictures too. I love older architecture and all its history! That’s a gorgeous courthouse. The downtown remind me of old downtowns of California. Some of the smaller CA towns still have a similar look.